If you’ve spent any time in the CRO world or read even a single article on landing page optimization, you’ve heard this catchy little slogan. And yet, unlike the majority of marketing advice containing little substance, this is a phrase that can drastically change the effectiveness of your site’s pages. How? By focusing your page’s intent. Having only one purpose removes extraneous CTAs, helps target your messaging, and makes it easier to track actual success. I mean, if your page has 10 CTAs (and we assume each has an equal chance of being taken), then each has a 10% chance of soliciting action. Slash that down to two options (to opt-in or not) and you’ve quintupled your chances of the user taking that single action. I know that’s a massive oversimplification, but the principle stands. Presenting fewer options and honing your page’s focus has proven time and again to increase positive action. The Jam Study showed that fewer options reduce analysis paralysis, increase sales, and alleviate post-purchase regret. Countless CRO studies have shown that minimizing user action improves UX and increases conversions. A more targeted page allows you to really hammer home the benefits of a single offer. So my question is why, when there are countless studies, anecdotal evidence, and tests extolling the benefit of removing on-page distractions, do I see the one page, one purpose rule being broken? Why do I see international brands, agencies large and small, and online stores break this simple rule and complicate their pages? The worst thing is that they don’t just break the rule, they break it on some of the most trafficked pages of their sites. They continue to use an outdated template for the pages the majority of their users are desperate to visit. To what pages am I referring? The Blog Design Bout of the Decade! What’s the most visited page of your site? Most marketing blogs have dozens of articles telling you it’s your “about” page. And sure, they’re probably right in terms of single pages. 81% of shoppers conduct thorough online research before making any purchase decisions. These guys aren’t looking for your “about” page or even your contact form. These guys will be landing on your blog posts and informative articles explaining what makes your product or service different. I’ll bet my remaining good eye that the cumulative traffic of your blog posts would eclipse that of your “about” page. And yet, blog design layout is something which has fallen into a rut. The mainstream advice for blog design is the same today as it was a decade ago. For years this advice persisted, informing and guiding the design of blogs across the globe. It has led to this cookie cutter approach to blog design, and it’s a design I’m certain isn’t conducive to meaningful conversions. 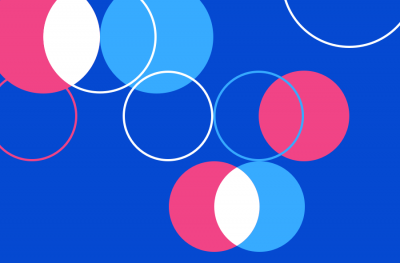 Fortunately, over the last couple of years, a few forward-thinking conversion-focused brands and agencies have been moving away from this design. They’ve adopted a full-width content template foregoing the best practices of yesteryear. Personally, I think it’s a shift in the right direction. I ran a sidebar for years and saw it produce few positive results. Getting rid of the sidebar forced me to make more strategic decisions with my opt-in offers and provided a cleaner user experience as each page and offer is more targeted to the user’s needs. Rather than write an article purely on anecdotal beliefs, I’m going to examine the two different designs and get the opinion of CROs and marketers far smarter than me. How often do you look at the sidebar on a site? How often do you examine what it is the brand is offering in the sidebar and, if you do, how targeted and relevant is that offer to you? Personally, I rarely look at the sidebar on any site I go to. My attention is completely held by the content that took me to the site. It’s similar to banner blindness. I know the sidebar is there, but I ignore it because it doesn’t hold the value that took me to the site. It’s an annoying appendage for which I have zero need. And with mobile users now outnumbering their desktop counterparts, you’ve got to consider those smaller displays. Check any blog with a sidebar’s mobile site and that content is usually pushed down to the bottom below the content. Whether it’s visible or not, the sidebar is often completely ignored, which makes it all but useless. 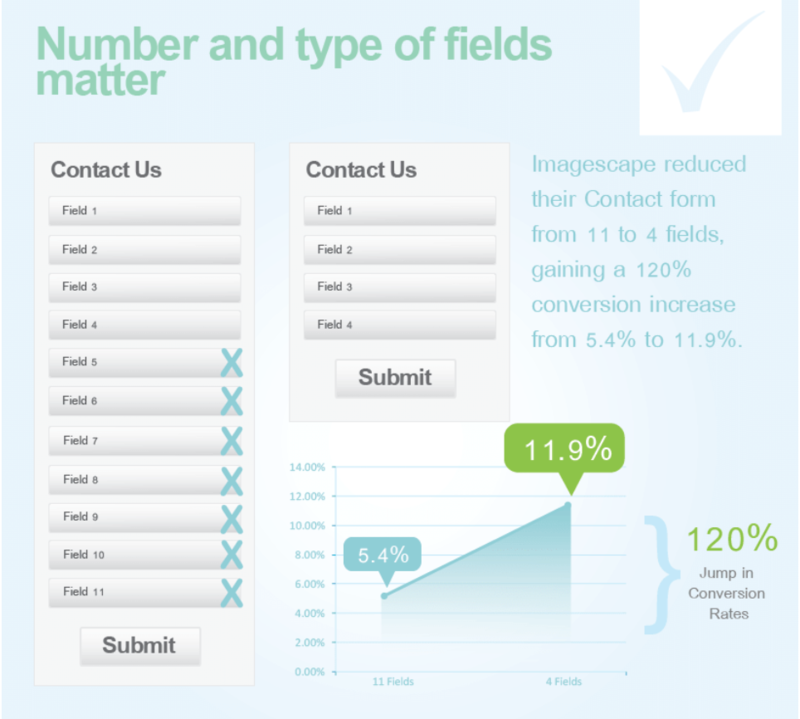 Conversion Sciences is one of the pre-eminent sources of killer CRO advice. 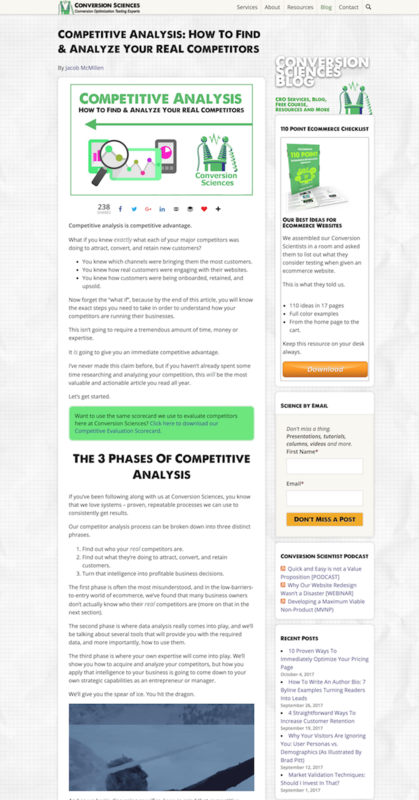 However, they still feature a very prominent sidebar on their content pages. With Brian Massey being such a respected figure in the CRO world, I wanted to understand whether he knew something I didn’t, whether he’d tested the site and found the sidebar to be a conversion powerhouse, or whether it was there simply out of habit. So I reached out to him for his opinion. “The sidebar is a blind spot (we call it a ‘sidecar’ because we love to use lingo). It requires some well-thought-out design to make the sidecar visible again. As your intro indicates, we do it from habit. The sidebar has never performed as well as what we call the ‘Lead Tophat’: That area at the top above the content. Nor has it performed as well as a ‘wheelie popper’: a scroll-triggered popover. We also like time bombs. You can probably figure out what that is. It has never performed as well as a ‘jilted lover’: an exit-intent overlay. Brian basically said that the sidebar is one of the worst-converting sections on those pages. He also mentions that some well-thought-out design can bring it back into the user’s focus. My question is whether bringing focus back to that sidebar is really worth it. I opened this piece by talking about the one page, one purpose rule of conversion rate optimization. The content sidebar is a chief offender in ruining this rule. 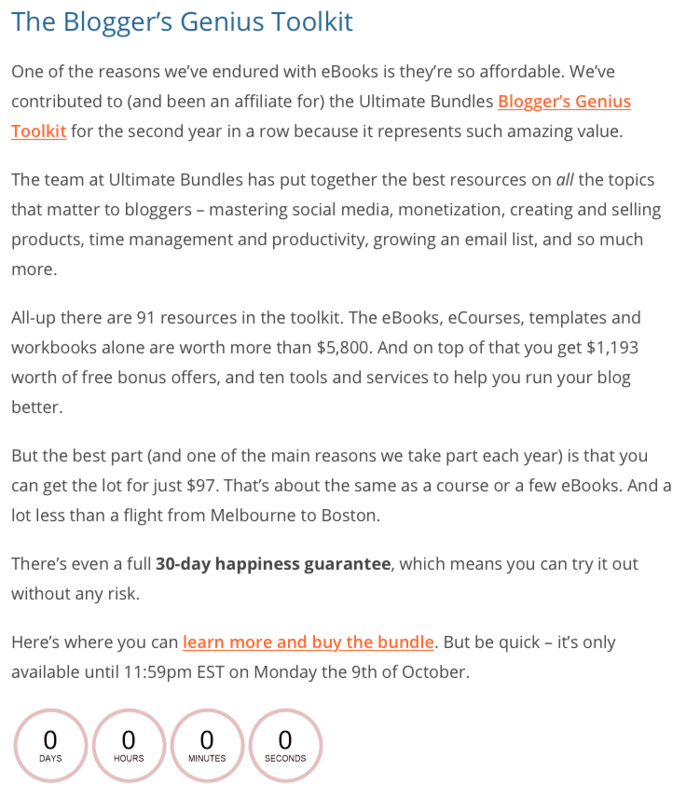 Take a look at this screenshot of an incredibly successful site, Problogger. I took it from one of their recent blog posts and have outlined in different colors each of the different actions a user can take within the sidebar. There are no fewer than 13 different actions for users to take (thanks to there being 8 links within the pink box). The article’s focus is on professional development for bloggers. Some of the actions are somewhat related to the content and thus of interest to readers of the page. But if my immediate problem as a blogger is personal development, then 80% of the links within that sidebar (such as “starting a blog,” “bloggers block,” “understand technology,” and the rest) aren’t really related to my current need. They’re not helping, but simply wasting space on the page. Even if the sidebar captures the attention of the majority of users, I doubt it converts very well. What’s most infuriating is the one offer that’s related to the content isn’t given the prominence it deserves. It’s a regular text link above a countdown timer all but lost within the content. I’d love to talk to Darren Rowse to see if my assumptions about their conversion rates are correct or if I’m well wide of the mark with this. But I reckon that removing the sidebar and crafting relevant offers relating to the content and featuring them prominently would help increase conversions. I guess the advantage of the sidebar is that it allows you to continually present an opt-in offer to your audience. It provides a traffic-shaping avenue where every page could potentially drive traffic to your top converting pages. But I just can’t see them working when they’re all populated with generic, site-wide offers. There are very few instances where the generic offer is really going to appeal to visitors and actually drive action. So the sidebar doesn’t hold the targeting and personalization elements necessary for driving meaningful engagement. Well first, you’re gonna have to scrap it. Remove the mishmash of unrelated CTAs, ignored offers, and useless links from the side of your page and focus on better serving your visitors. I mean, if a visitor popped in a Google search for the solution to a specific problem, they’re only really interested in that solution. They don’t want to sift through a half dozen tenuously related links and generic offers. They’re there for a specific reason, and anything that isn’t directly related to that need is going to get ignored. I’m gonna answer that question with another question. Where’s visitor attention when reading content? 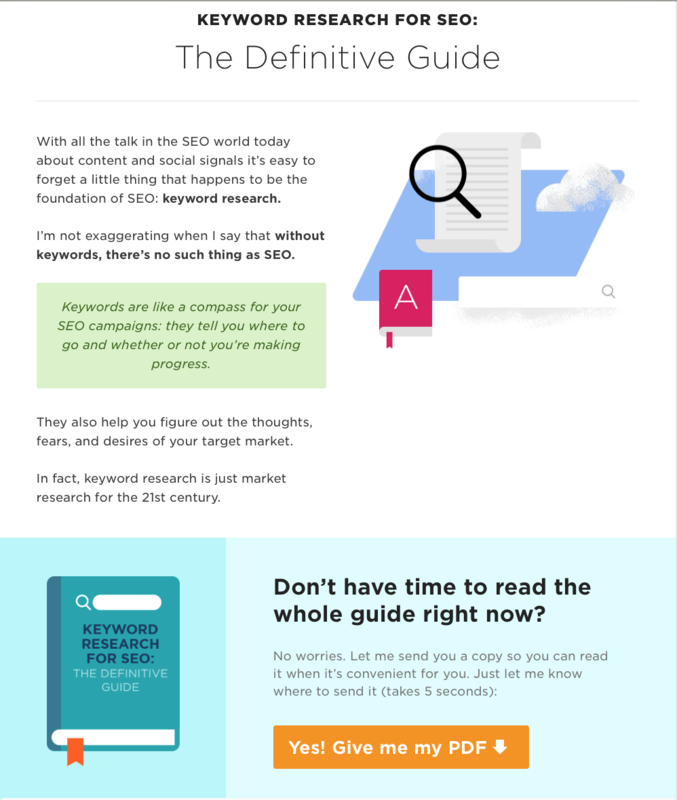 If a user is reading your content, their focus is unsurprisingly on the content itself, and so it stands to reason that’s where your conversion opportunities are. When enjoying a piece of content, a user isn’t going to hunt across your site or page to find your CTA. They’ll be engrossed in what they’re reading. With that in mind, here are a few ideas for how to capitalize on that interest beyond the tried and true popups and welcome mats you’re probably already using. Organic searches, ad clicks, and social media engagement, in a way, segment your audience. They attract users at different stages of awareness who are looking for different things. Some might be after information, others might be looking for that last little push before making a purchase. The upgrade or inline offer should be directly related to that stage of awareness and offer the next logical step for users. 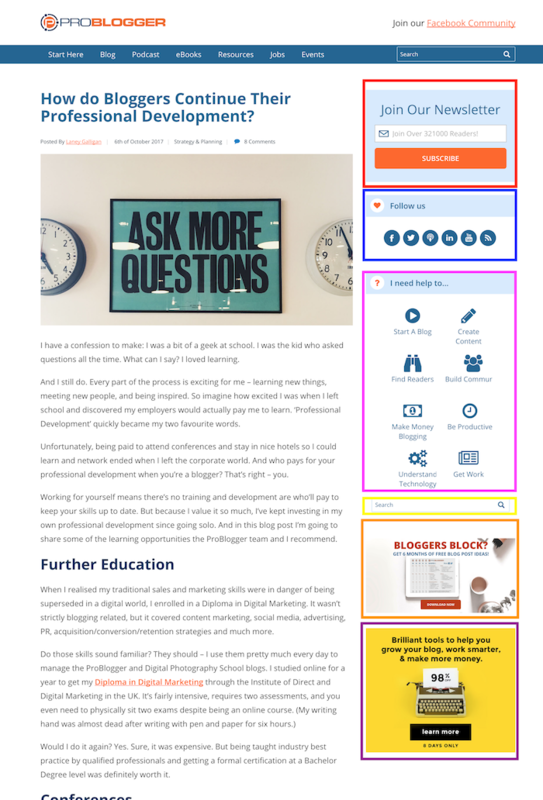 For example, this post takes a very general look at the problem of blog design and is most suited to those who are trying to understand the issue. The great thing about content upgrades and inline offers is that they’re always specific to the content and so have a far higher chance of being taken. Brian Dean from Backlinko offers some of the best examples of how to do this well. Across Backlinko you’ll see numerous relevant content upgrades such as the below. 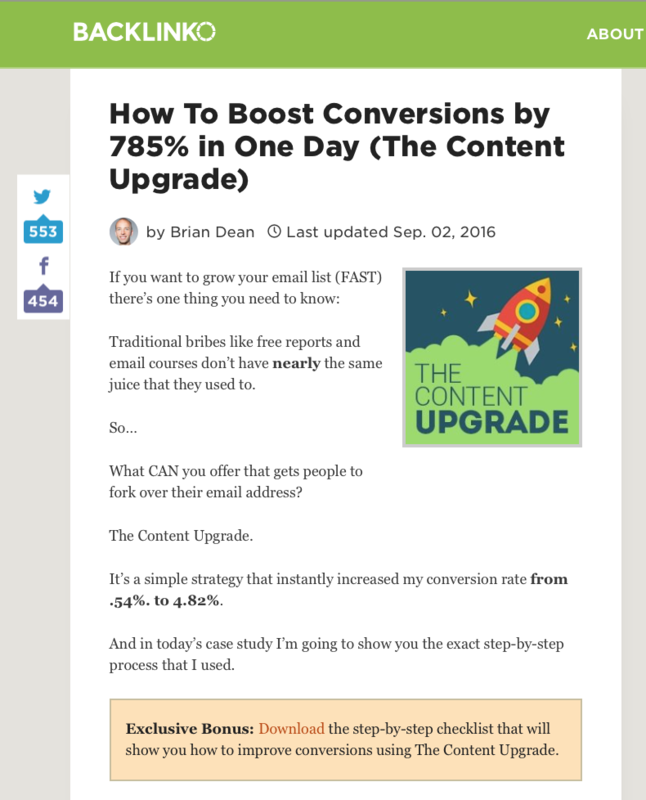 You can see from that article headline that it increased Brian’s conversions by 785% in a single day. What’s not so apparent is how they stack up in the grand scheme of things. “I have a grand total of 54 opt-in forms on my blog. Two small content upgrades account for 30% of subscribers across his whole site. Let that sink in for a minute. Don’t worry if you can’t come up with a relevant, value-adding content upgrade either. When you’ve covered everything in a comprehensive guide, you can always just add it as a PDF download as in the below. I’m a huge fan of article-specific content upgrades and offers. They move away from the generic offers that so many blogs rely on and drastically improve the user experience. When you’re creating specific value-adding opt-ins to your content, you’re not just giving users something of value, you’re doing so in a way that adds to the overall UX. 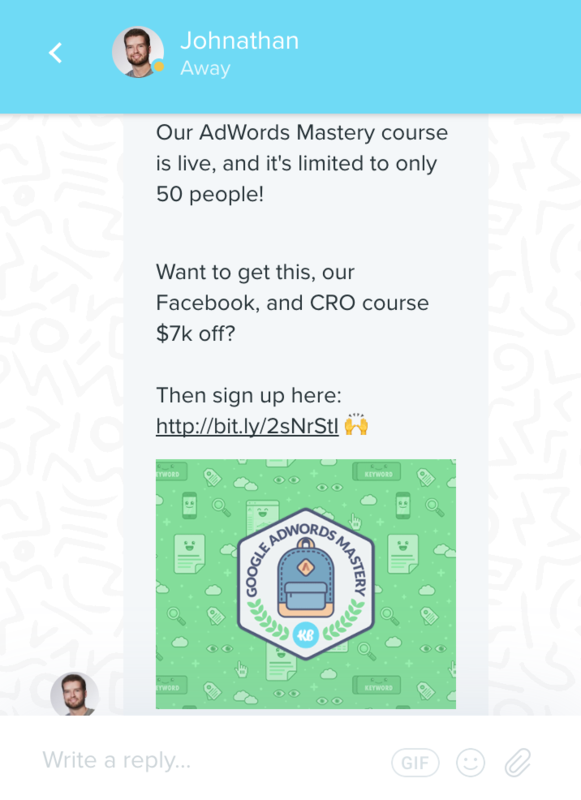 The marketing world is going crazy right now for chatbots. And when you see the insane engagement statistics, it’s pretty obvious why. Chatbots are getting such results because they offer an immediate, almost human conversation with users. 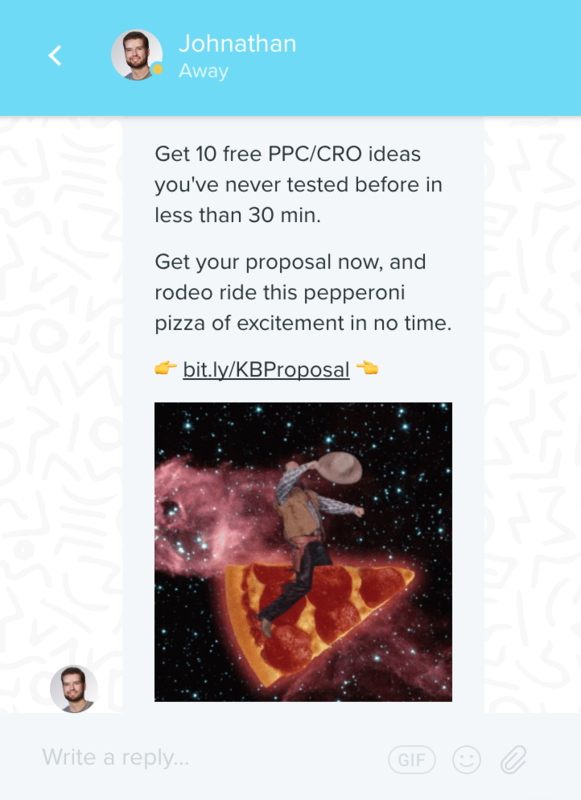 People love engaging with chat widgets because they get an immediate response. And with the right leveraging of the tool, you can turn it into a powerful conversion driver. There are a couple of smart brands out there that are already leveraging the power of chatbots on their sites. Take this example from Single Grain. On an article detailing the basics of Facebook Marketing, the chatbot points in the corner and asks whether I’m currently running any campaigns. I’m given a bunch of relevant options to choose from to progress the conversation, eventually leading to a request for my email address. For Single Grain, it’s not just about grabbing email addresses, but also helping to qualify users. All from a single post. 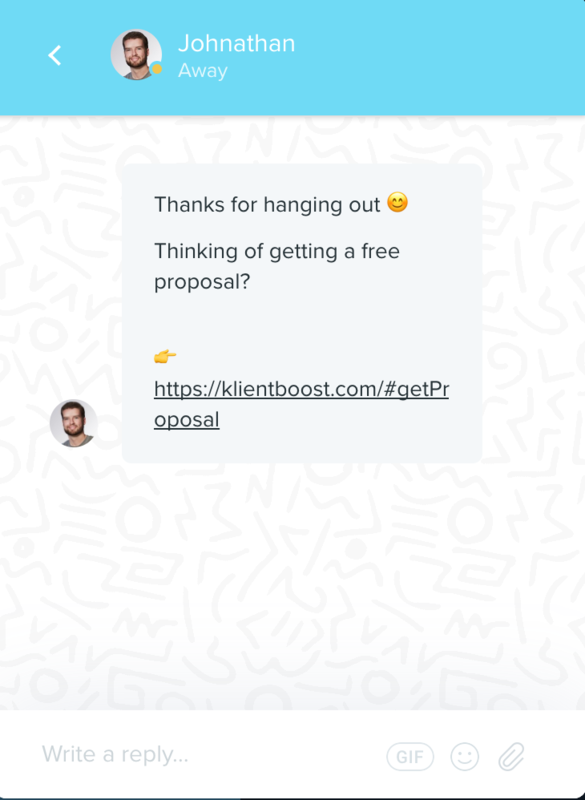 KlientBoost is another agency that is using a similar solution. After visiting their site at least once, you’ll receive a message from their intercom sequence. 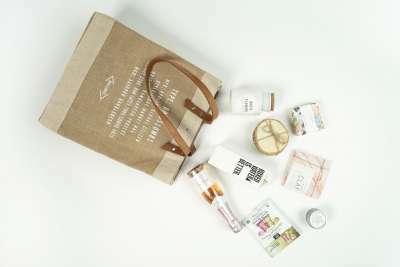 In true KlientBoost style, the messages are fun, irreverent, and in line with the brand’s overall image. 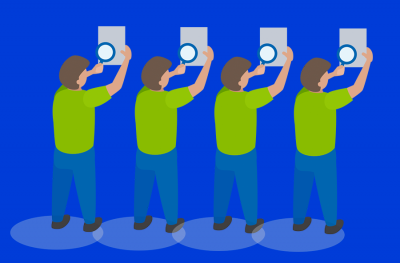 What’s most interesting is how the messages often have the same goal – a call for a proposal request. After speaking to Johnathan about his intercom usage, he had a couple of interesting points to make. I also wanted to know about his rather aggressive tactic of pushing for the proposal. Every page and message seems to push for it. 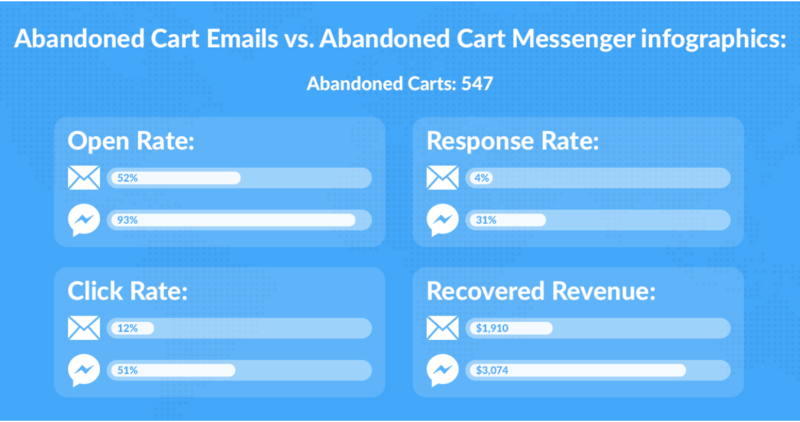 Chatbots, plugins, and widgets have insanely high engagement rates. They’re the perfect replacement for any sort of sidebar in my opinion. Not only do the more advanced services like intercom provide customization based on new vs. returning visitors, pages visited, event tracking, or any combination you can think of, they take up less room, allowing you to create a better user experience. Chat services are the perfect replacement for the sidebar in my opinion. You not only free up real estate, bringing more focus to the content, but you can better target messages and opt-in offers so that they’re actually related to the content and user’s needs. The core of CRO isn’t about changing button colors, USPs, or more prominently featuring links. Effective CRO processes create customer journeys users want to take. They usher users along the conversion path by making them want to continue their journey. They instill desire, prompt action, and form a bond of sorts with consumers. For one thing, they’re often ignored. Visitors concentrate on the content that’s there to help them, not on the myriad offers you have on the side of the page. More important, those offers are often completely unrelated to the content itself. The majority of blogs use no targeting with their sidebar, instead opting for a generic, vague, site-wide offer. It’s nice to have that conversion opportunity on every page, especially when it’s so easily implemented. But taking this generic approach offers next to zero value for your customers. They’ve landed on that page after searching for a specific term, clicking a relevant ad, or following an individual referral. While the content relates to that acquisition path, the sidebar doesn’t and so is a waste of space. You’ve got to look at it in terms of the customer journey. You’ve got to ask yourself not only how you can add more value to the piece of content that brought visitors to your site, but what the next logical step for them might be. Once you have that figured out, you can craft a compelling conversion element related to their needs at that stage of the funnel. Sure, doing so is going to create a lot more work for you, but it’s worth it. You’ll free up valuable blog design real estate, keep attention on your content (and the offers you create), and offer something users actually need. That’s going to build your authority as a trusted source of information and help get people into your funnel. What’s your take on sidebars vs full-width content with smart CTAs and offers?